I know a lot of photographers post up their own thread for bookings, but I figure a consolidated list of who's available to shoot would be plenty useful. If you can give me a direct link to individual photoshoot booking threads, I can cross link here as well. If you have worked with any photographers you recommend, or are a photographer who would like to be included just leave a comment. Toronto/GTA/Ottawa/Montreal/Anyone who frequently attends GTA cons is welcome. Any other info you feel is necessary such as are you paid/free (you don't have to disclose your rates publicly), and skill level/experience so people know fully what they're getting into when booking a shoot. If you would like to be removed from the list, please let me know. Paid Shoots. Elemental is amazing and very in demand! Her pictures have been featured in numerous magazines and websites. Lurk her pages for when she announces shoot openings to snag a spot. Paid shoots. 8 year Cosplay photographer, specializing in unique lighting and dramatic images! Paid and free private photo sessions, depending on the assignment. Available all days, but not pre-planning any photoshoots at the moment. Are you trying to develop a list of photographers who will be attending CC32? I'm hoping to shoot some video footage for YouTube for one or two music videos. I'll most likely either wind up on either the Casa Mai Channel or the ICG Archives channel. Like we don't have enough to do/planned already, Von Drago and I need the help of the attendees at CC32 for another project. It's about time the Costume-Con community got the kind of exposure that anime con cosplayers get. That's where you come in. Dependent on program scheduling, We plan to shoot footage for a couple of concept videos to eventually be uploaded to the ICG Archives YouTube Channel. 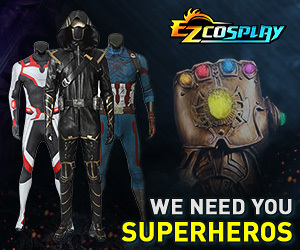 We want you to bring your best, most elaborate costumes and participate in these vids. We want costumers of all ages - we'll probably have you interact with each other to some extent. We' know we can get recreation costumes, but we want lots of original design stuff, too!